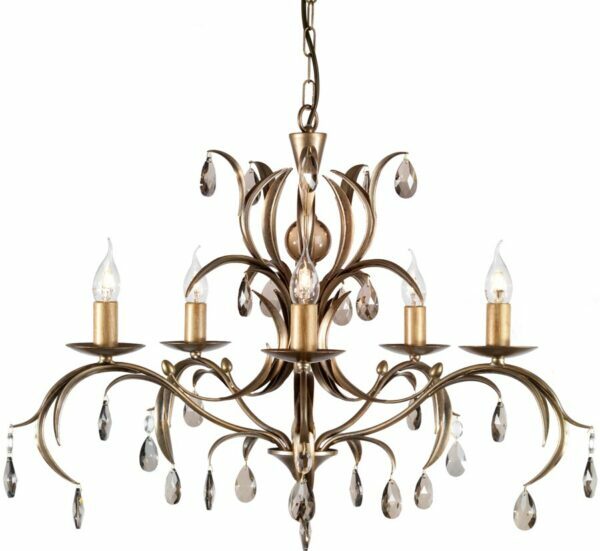 This Elstead Lily Italian style 5 light chandelier in metallic bronze finish is hand made in England. An exclusive design featuring elegant hand painted lily leaves in a unique deep metallic bronze and adorned with smoked cut glass droplets to complement the finish. Boasting ceiling cup, chain suspension and detailed body, with central stem adorned with lily leaves and buds sprouting gracefully from the top. The five double curved arms radiate from a lower gallery and finish with downward curving lily leaves. The candle style lights feature metal candle pans and candle tubes and the whole fitting is decorated with smoked cut-glass drops that add the finishing touch. This magnificent dual mount chandelier is supplied with chain suspension but can be fitted as a semi-flush mount for rooms with a lower ceiling, please see the technical information below for dimensions. There are matching fittings available in the Lily Italian style lighting collection that can be viewed below. 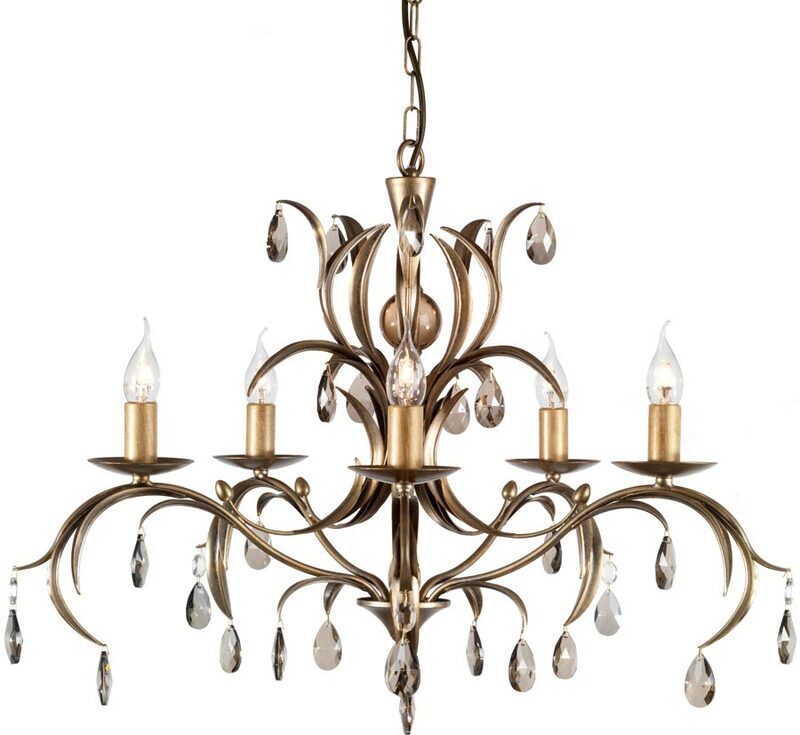 This exclusive design is supplied by Elstead Lighting, a British company that specialise in the manufacture and distribution of quality decorative lighting such as the Lily Italian style 5 light chandelier in metallic bronze finish you see here.